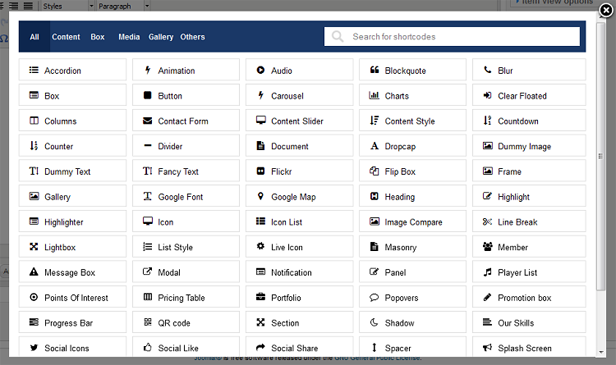 With over 65+ shortcodes support, this template is very flexible of using as well as customizing for users. 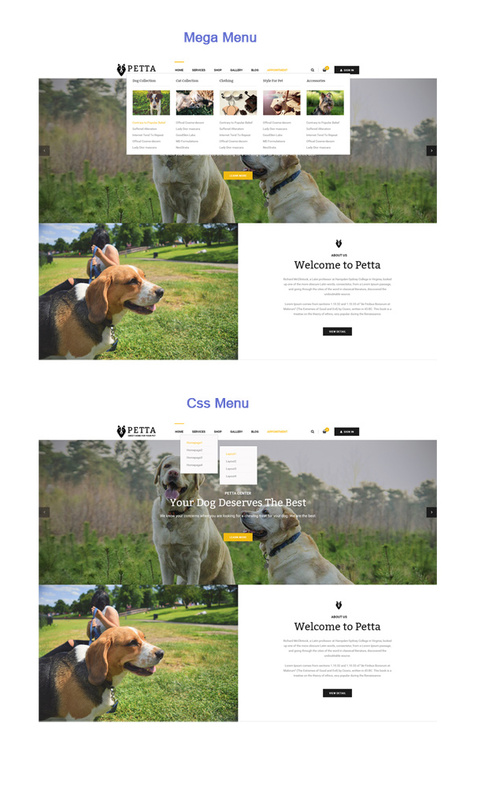 Besides, it comes packed with dozens of advanced in-house modules intuitive features: unique homepage with 4 styles of layout: Boxed, Wide, Framed, Rounded; 5 Beautiful Color for Pet Care services ( Blue, Green, Cyan, Yellow and Orange); powerful mega menu; etc. YT Framework makes it very simple for you to build, customize and handle your own website with a broad range of easy tasking features. 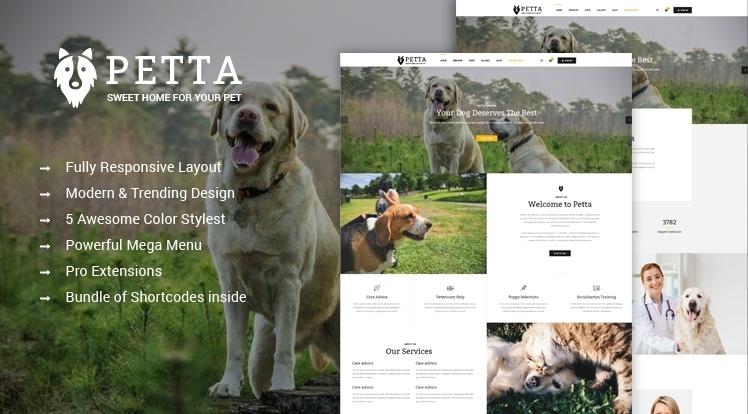 SJ Petta has one homepage layout with beautiful and impressive images that make your site very luxury with professional display and friendly with users. 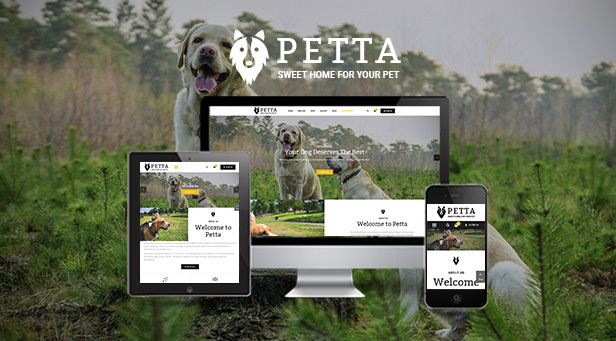 Based on YT Framework v3, SJ Petta will bring to customers a great look on any devices: PC, mobile, iPad... or any screen resolutions.Let experience it! This template is available in 5 color styles: Blue, Cyan, Yellow, Orange, and Green. Besides, it allows you to fully customize color schemes in the back-end. With mega menu, you can show categories and news with description, image, video, effects… or even add links to any page, static blocks with promotion banners and modules. You also manage menu by CSS Menu. 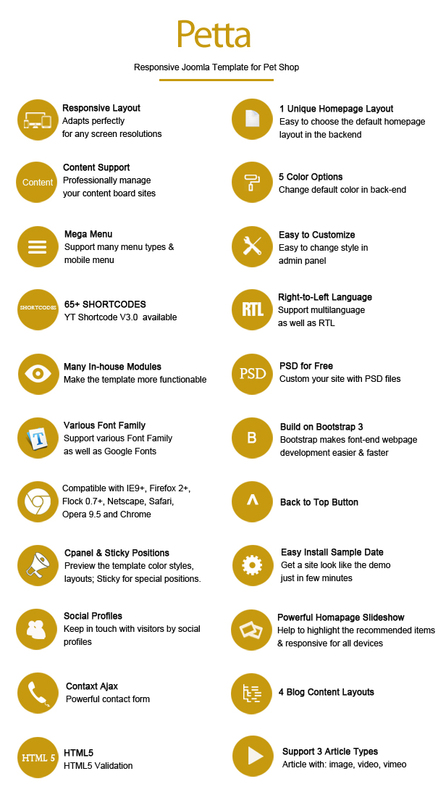 Powered by YT Shortcode, SJ Petta comes with 65+ useful shortcodes that help you more powerful in building and customizing your site. You can quickly make a various website content without much coding knowledge required.